Want to train for your first race or set a new PR? These training programs are for you. 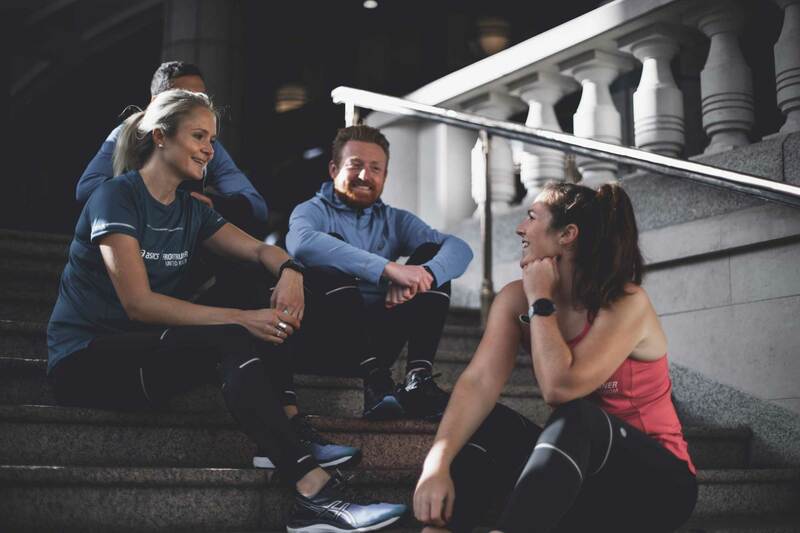 You’ll get coaching from some of the most experienced coaches in the area plus be surrounded by a community of fellow runners along the way. We offer these programs on a seasonal basis. When the program is open for registration, you will see a registration link under the description. Sign up for our newsletter to be the first to know when registration opens. Spots are limited, so sign up quickly! Our coaches come with loads of coaching expertise and running experience. They are avid local runners who can’t wait to help you run your best. 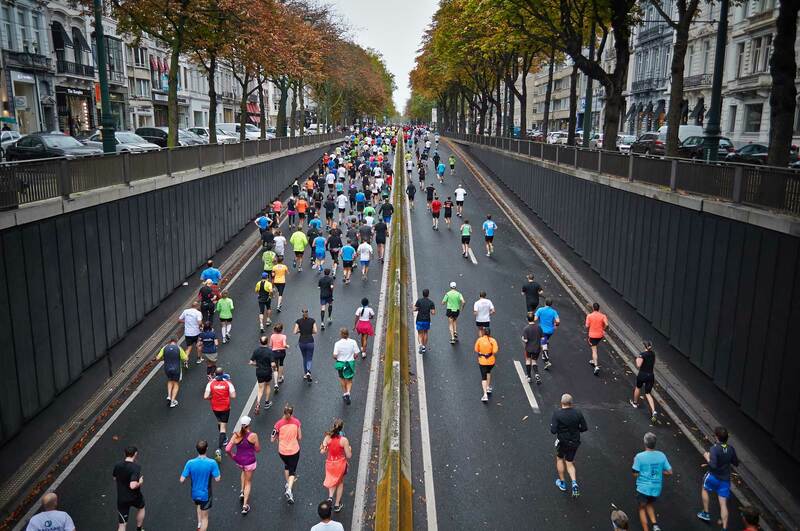 You’ll find yourself in a community of runners to encourage you toward your goals! You can join in the weekly group runs. Some of the programs include nutrition training too! Run your best Apple Blossom 10K with Runners’ Retreat! Geared toward novice and intermediate runners, this 8 week training program will get you prepped, pumped, and ready to go whether your goal is to finish or beat last year’s time. In this training program, you’ll receive top notch coaching as well as a community of runners to encourage you. Once you register for the training group, Runners’ Retreat will contact you with a brief questionnaire about your running history and goals. We will meet for group runs at Runners’ Retreat at 6:30pm on Tuesdays and 8:00am on Saturdays. Don’t worry, if you can’t make it to a session, we’ll keep you up to date on what to do. We’ll also invite you to join a private Facebook group so that we can mass communicate easily – and build camaraderie. If you don’t have Facebook, we’ll keep you up-to-date via email, snail mail, or even smoke signals (if that’s your style). New to speed drills? This program is perfect for you! Ready to kick your legs into a faster gear? Join Runners’ Retreat coach Charles Bowles for 3 weeks of speed work sessions designed to help you run faster and more efficiently. These workouts are geared towards those who are new to the track, but they are great for any runner who wants to set new personal records or just learn to be comfortable on the track. They are also a perfect way to get prepped for this year’s Loudoun Street Mile on Memorial Day, May 27th! For only $25, you’ll learn drills, warm ups, and work outs so that you can run faster and stronger than ever. Helping runners at all levels learn to love the track! Want to stay in shape this summer, but not sure how? 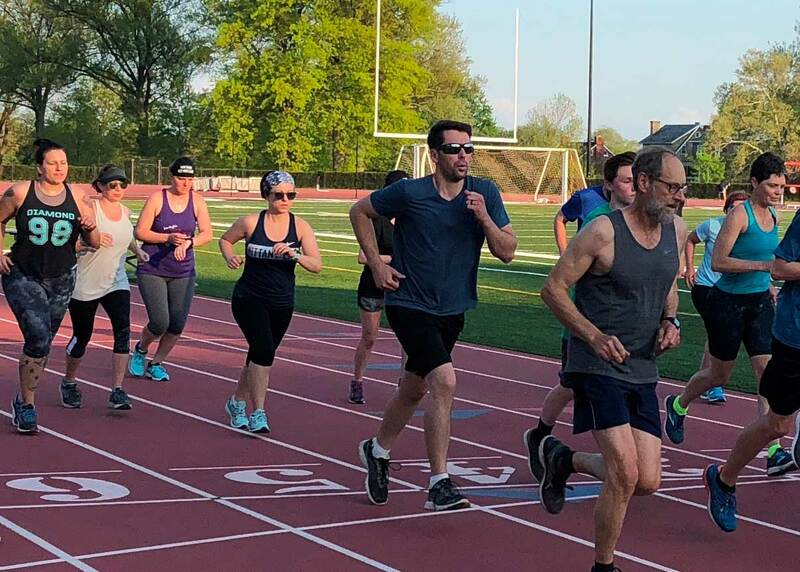 Join Runners’ Retreat coach Charles Bowles on Thursday evenings for a progressive speed work program designed to help you learn how to embrace the track and build fitness! All levels of runners are welcome! During this program, you will get tuned up for local races like the Liberty 5K and Labor Day 4 Miler. You’ll also build a great baseline for our Half Marathon Training Program starting in August! You’ll learn skills like drill form and technique, how to pace yourself for track workouts, and how to warm up and cool down from workouts. 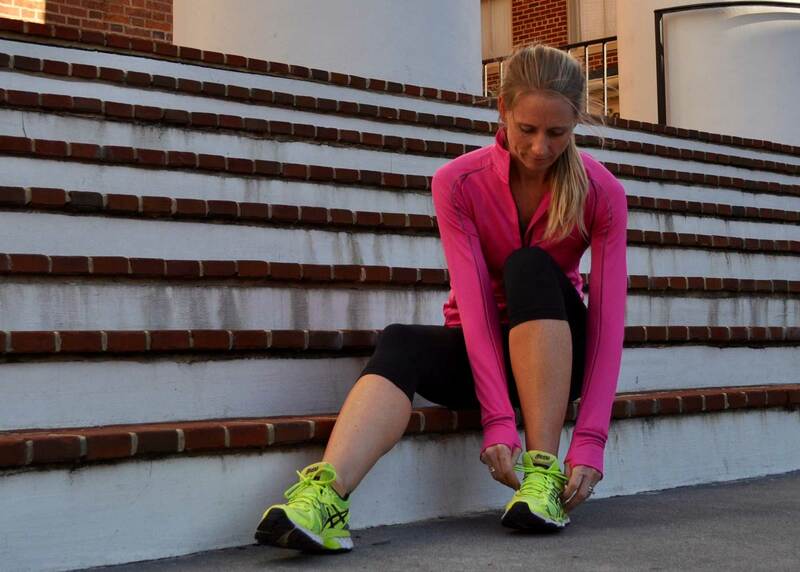 You’ll learn how to run faster and more efficiently. These workouts are a great complement to the Shenandoah Valley Runners’ track sessions for those looking for more focused training. You get 2 months of coach-led workouts for only $30! Get ready for your next 13.1! Get ready to tackle a Half Marathon this fall with Runners’ Retreat! Geared toward all levels of runners, this training program will get you ready for half marathon season. The Battlefield Half Marathon in Winchester is coming up in November as well as the Richmond Half! Once you sign up, you’ll be added to an email group so you stay up-to-date on information. We’ll also send you a survey to help us determine your current fitness level! Chuck holds a Masters Degree in Exercise Science from George Mason University. 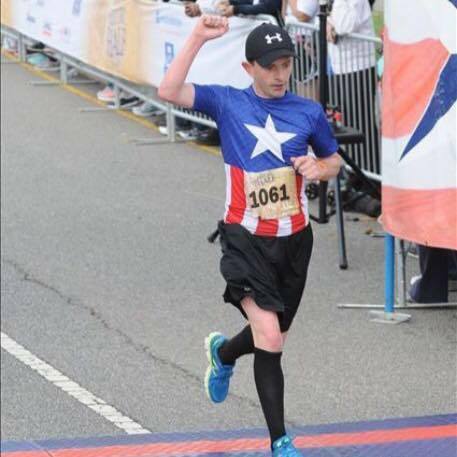 His running research has been published in a nationally recognized journal. He’s also a USATF Level 2 certified coach and has furthered his education through more than 15 coaching clinics. He’s raced the Apple Blossom 10K for 20 years. Tony is an avid local runner who has completed 8 marathons since he picked up running 6 years ago. He’s been an athlete all his life, but has found running to be his passion. He’s run the Apple Blossom 10K 5 times. He loves helping people enjoy the sport of running. 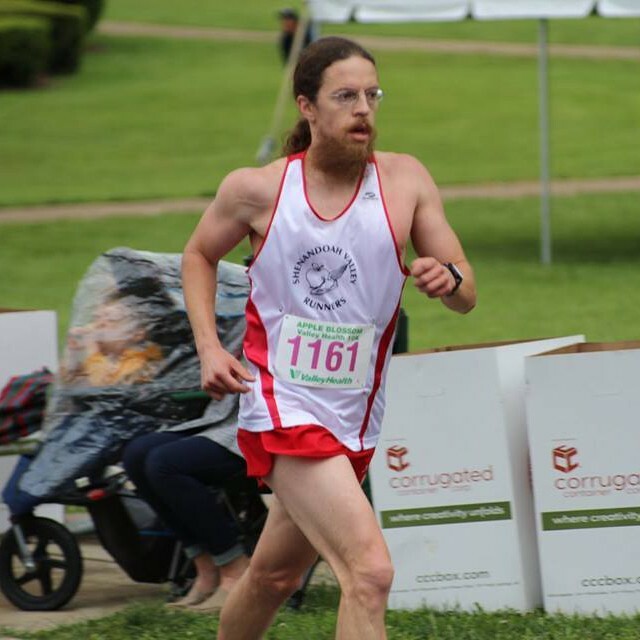 He leads regular group runs and founded the Stephens City Second Milers in 2016 – charity organization that helps provide shoes for orphans in developing nations. 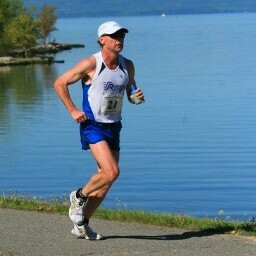 Mark is a 3 time Olympic Trials competitor in the 10K and marathon and holds 4 national titles. He’s a USATF Level 1 certified coach and currently head coaches the Handley High School boys cross country team. He’s raced the Apple Blossom 10K numerous times – even taking the win in 1992.